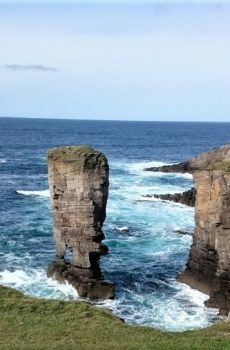 Discover the best of Orkney on your Disney Cruise! 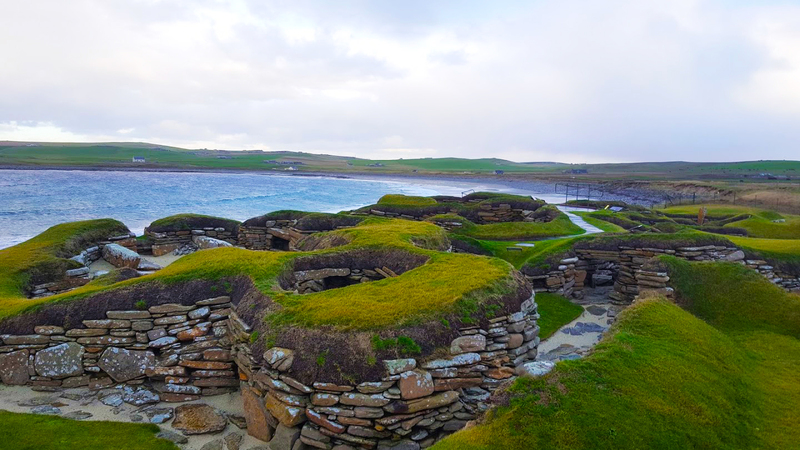 Discover the 5000 year old Skara Brae, towering standing stones and the idyllic village of Stromness in one magical trip. Make the most of your Disney cruise! 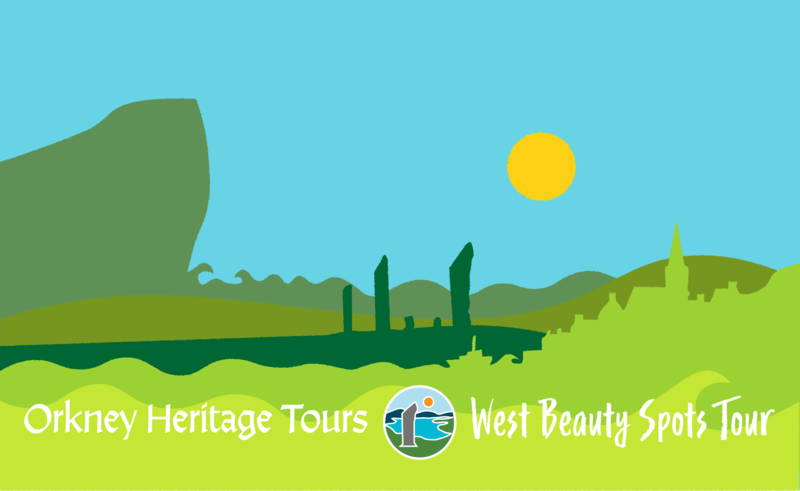 We drive past two wildlife filled lochs and the Standing Stones of Stenness and to the Ring of Brodgar. This massive stone circle of 36 stones dates from around 5000 years ago. Hear stories from the site. 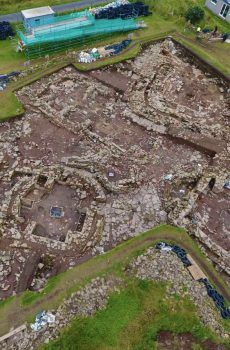 Then we travel to one of the world’s oldest remaining settlements. 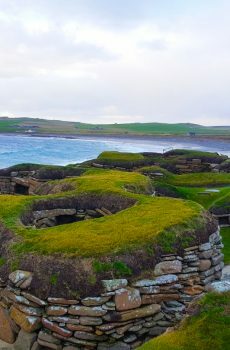 The iconic Skara Brae! 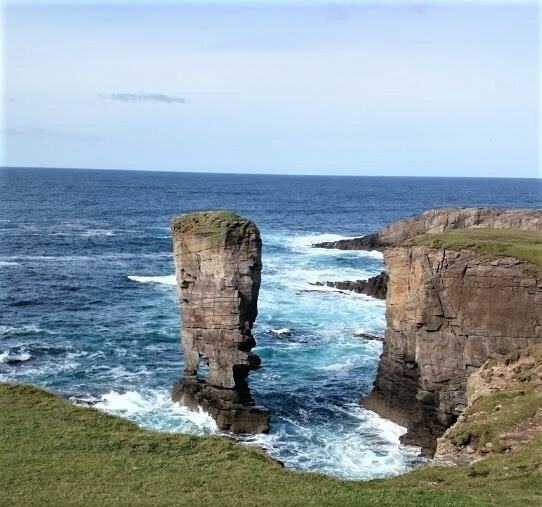 After taking in the ancient human made sites, it’s impossible not to get blown away by the majesty of nature at the cliffs of Yesnaby. 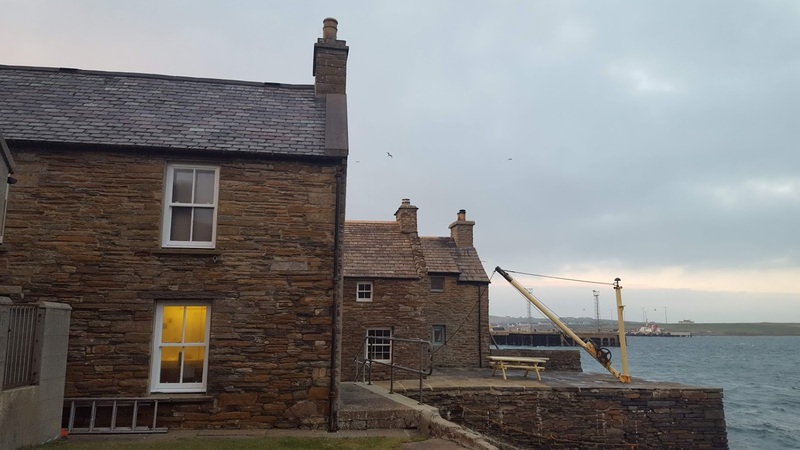 Then it’s on to the scenic fishing village of Stromness. Wander along the cobblestones and enjoy the creative local shops. Our tour concludes with a trip past Scapa Flow, whose mysterious dark waters hide many secrets. We then return to Hatston after four hours of scenery & stories. After this tour you can return to your Disney cruise with beautiful memories of this unique island! 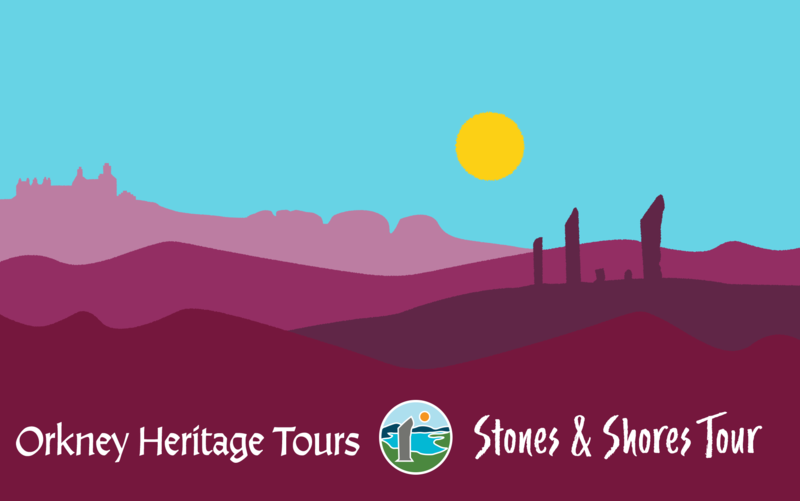 Orkney Heritage Tours are socially responsible as they provided by the Orkney Community Transport Organisation. OCTO is a “Community Interest Company” (CIC), meaning all profits remain in the community via donation to their partner; Orkney Disability Forum (ODF). This charity (SC019325) works to improve lives and opportunities of disabled people in Orkney through their services from dial-a-bus to community events. All proceeds from this tour will go directly to this vital local charity. Arrive at Hatston after four hours of adventuring. This tour is designed for the Disney Cruise and is suitable for children and adults alike. We will be on time with the cruise schedule. Select from the calendar below in “Departure” to book. For family tickets please get in touch. Entry into Skara Brae and Skaill House (£7.50).